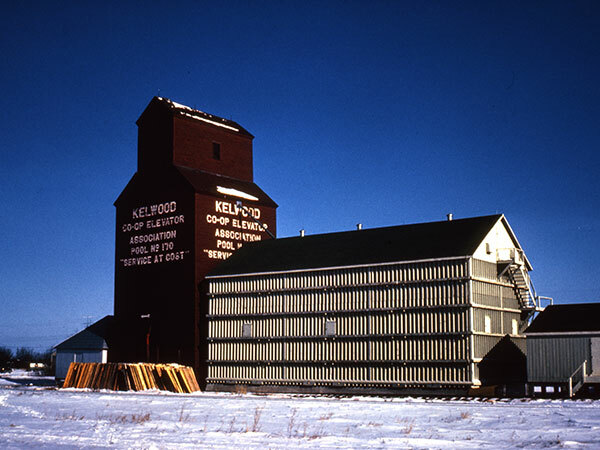 A 35,000-bushel wooden elevator at Kelwood, on the CNR Neepawa Subdivision in the Rural Municipality of Rosedale, was built in 1929 for Western Canada Flour Mills. In August 1940, it was taken over by the newly-formed Kelwood Co-operative Elevator Association who agreed to repay Manitoba Pool Elevators over a 20-year period. Initially handling just grain, the Co-operative began to sell coal in 1950 and farm supplies such as fertilizer, spray, and baler twine in 1963. A new balloon annex was built beside it in 1969, increasing its capacity to 68,300 bushels. The facility was closed in December 1971 and traded to United Grain Growers which, in turn, closed it in December 1979. 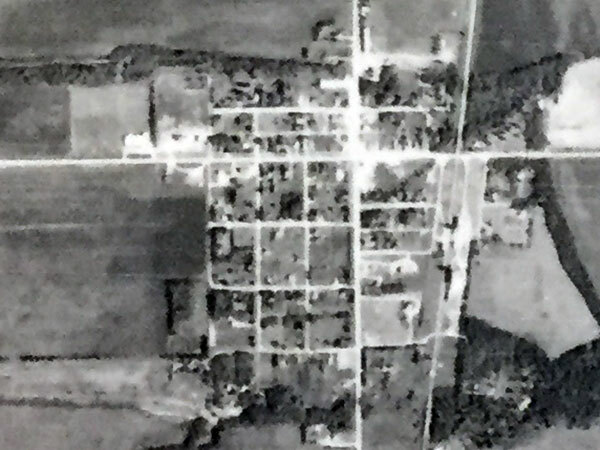 The company sold the elevator and annex to the community, along with its other elevator built in 1927. Both elevators were removed from the site sometime before 2000. Manitoba Pool Fonds, McKee Archives, Brandon University.